The 2015 US Census Bureau’s American Community Survey estimated that English is not the primary language spoken by individuals in 21% of US homes. More than 63 million Americans over the age of five, speak a language other than English. The Census Bureau survey included over 350 different languages, which was expanded from previous surveys. Outside of English, Spanish is the most often spoken language in the US. In addition, there are over one million individual speakers of Chinese, Tagalog, Vietnamese, French, German, and Korean. Arabic stands as the fastest growing language—increasing nearly 30% since 2010—followed by Urdu and Hindi. Forty percent of these individuals self-reported that they do not speak English “very well". The diversity in languages spoken in the US poses unique challenges for those in the healthcare field, where miscommunication can have serious and even fatal consequences. The field of medicine is filled with unique, technical, and often confusing language. Many of these medical terms require an intuitive translation service in order to be completely understood. The cost of translating medical information to multiple languages is a difficult one to predict. Interactions and appointments between providers and patients may have to be extended in order to accommodate for translations. This often results in a loss of efficiency and potentially higher costs of care. In emergent settings, the time for translation between patients, family members, and providers could result in delays in diagnosis and treatment. In many instances, healthcare has relied on children or family members who have learned English to interpret medical information for parents who either don’t speak the language or who have limited English skills. This reliance can be problematic, especially when asking the child or family member to translate confidential or potentially embarrassing data such as alcohol or drug use or sexually related topics. The US Department for Health and Human Services requires recipients of federal financial assistance to take reasonable steps to provide meaningful access to Limited English Proficient (LEP) individuals (Title VI and Department of Health and Human Services regulations, 45 C.F.R. Section 80.3(b)(2)). This scope includes hospitals, clinics, nursing homes, home health, and entities that offer health or social services (including universities). State and local agencies may also have additional regulatory requirements. (4) The resources available to the grantee/recipient and the costs of interpretation/translation services. While the guidance provides a helpful reference, each organization will need to perform an assessment and determine what constitutes “reasonable steps” to be implemented to meet regulations. After completing an assessment and determining what services are required to meet need and regulatory requirements, there are several options that are available for translation services. The AHRQ Patient Safety Systems document makes three recommendations to address language needs. 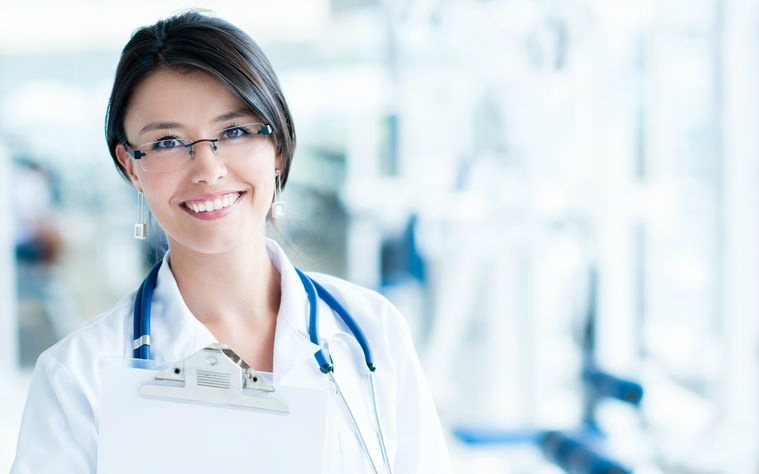 They include requiring the presence of qualified interpreters, providing materials that have been translated to the preferred language, and employing a “teach-back” methodology to confirm that the patient clearly understands what's being discussed. There are several strategies available to meet the recommendation for requiring the presence of qualified interpreters. One strategy is to employ staff members (or qualified volunteers who have medical training and speak a second language fluently) who can be physically present to translate information. While bilingual individuals can provide in-person translation services, there are some challenges to providing 24/7 staffing and also sufficient coverage in organizations that may require simultaneous translations. It may also be difficult or not cost efficient to have staff or volunteers available who are fluent in the variety of languages that may be required, especially in metropolitan areas where multiple languages are spoken. Teleconferencing with professional translation services personnel is another option to meet the language needs of patients. These services can be delivered via computer, tablet, or telephone 24/7. The benefits include having services available for languages that are unique to a location, as well as having translators available on an ‘on-call’ basis, which could provide a cost-effective solution versus employed staff. Another solution to meet requirements utilizes computer translation software. There are several translation software programs that have been developed specifically to provide accurate medical information while complying with privacy regulations including HIPAA. These software programs can facilitate discussions between medical providers, patients, and their family members. Typically, these software programs operate under the following steps: a provider electronically uploads medical documentation that needs translation to the software, the software translates the documentation into the language of choice, and the provider then goes over the documentation with the patient who needs translation. Some of these programs have additional features like text-to-speech translation, multiple upload options, and are scanner-friendliness. These programs are cost effective; a computer or tablet can converse with a provider and patient in hundreds of languages. If a tablet or computer is available, it can provide 24/7 translation services. One of the advantages of a translation program is it is available immediately, which prevent any delays in diagnosis and treatment. Some programs provide the ability to document the information that is shared to incorporate the conversation into the medical record. When a tablet or other technology is employed, it is imperative to consider delivery systems that provide functionality to caregivers at a bedside or remote treatment area. A portable cart with an attached tablet provides video conferencing abilities and/or technological translation services. A more advanced cart may include a locked tablet (to prevent technology misplacement or loss) and integrated examination instruments, including gloves, wipes, and instruments (check out our custom Interpreter Cart—pictured above). These features reduce the need to transport multiple pieces of equipment to a patient. 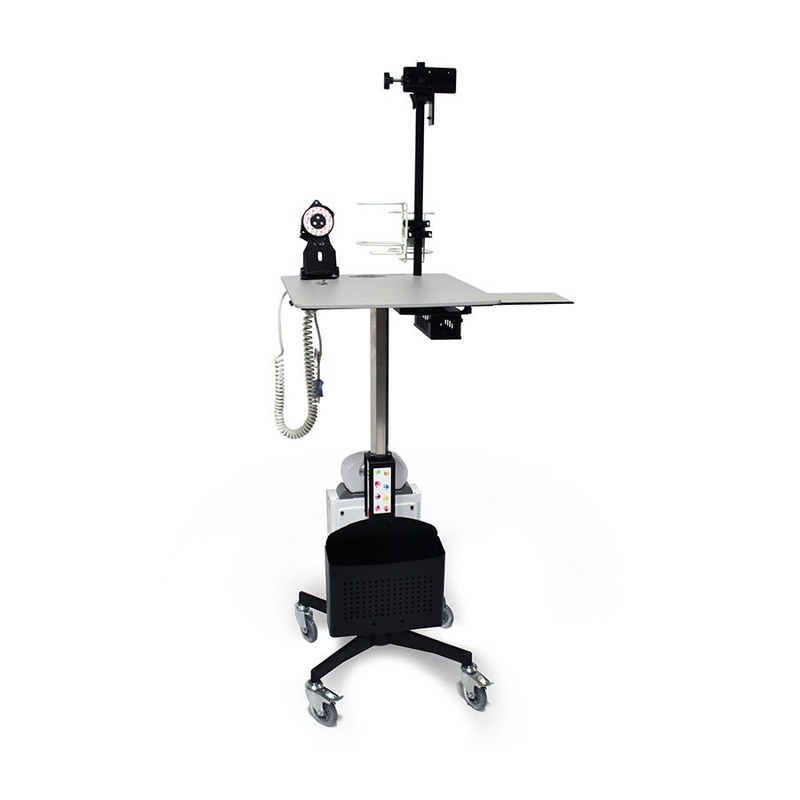 The portable cart can be quickly deployed and easily moved from bedside-to-bedside/treatment-area-to-treatment to meet the diverse needs of the patient populations being served. As the population continues to diversify and the variety of languages spoken by patients increase, healthcare organizations will look to implement strategies to streamline their language processes to deliver timely, cost-effective, and personalized care.